Here’s a simple and quick iced tea recipe using our Houjicha green tea as the base. Houjicha is very versatile and pairs well with citrus fruits, like oranges, lemons, or limes and also fruits, like peaches or berries so please feel free to substitute those or other ingredients. There’s no syrup or sugar added to this recipe, just natural ingredients. Below is a ‘hot brewing’ method of making iced tea, where you can serve the tea right away. There are heaps of different methods out there but this is what works for us. Also please read the brewing tips further below, before you get started. Optional extras: add lime, or 1/4 teaspoon of vanilla extract or 1 vanilla bean, split with seeds included. Alcoholic optional extras: a nip of Gin or Vodka! Note: if you want to add a sweetener or syrup, add it to the hot brewed tea so it dissolves. Also, the amount of ice is up to personal preference – use as much or as little as you like. 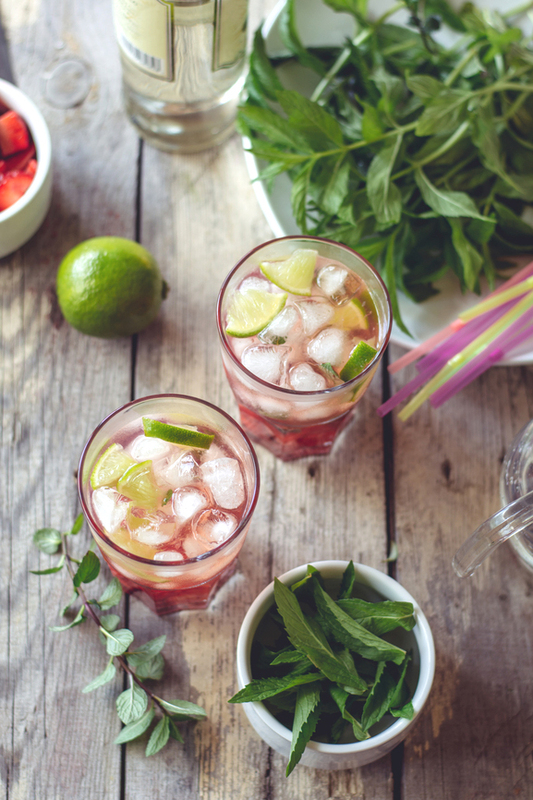 To serve, add some extra iced into a tall glass, mason jar or bottle, pour in the tea, then put a small sprig of mint on top. Ice will dilute the final brew so account for this in your tea quantities. This can mean adding 20 – 50% more tea to the teapot BUT this will depend on the tea and your individual taste. Also consider that sugar syrup will mask tea flavours. Steep the tea for the recommended time (no longer than 3 minutes for green tea). If you want a stronger tea taste in the end, use more tea leaves in the infusion stage but still steep for the recommended time. Otherwise you might get some undesirable flavours in the brew. 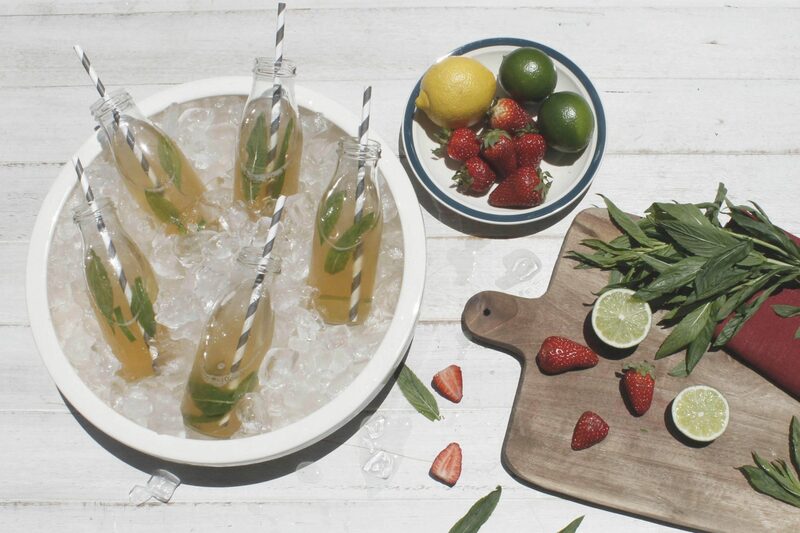 Try the base tea chilled first, regardless of whether you’re having iced tea now or later. This will help you to understand the flavours notes of the tea and gauge the level of natural sweetness. Hot brew it (as above), let it cool in the bench and then chill it in fridge so you know what you’re working with. You don’t have to do this, but it helps a lot. Don’t mess with the base tea when you’re hot brewing! By that I mean don’t add things / ingredients during the brewing phase. Let the tea do its thing and then add ingredients later. If you want to chill the tea in the fridge, after the hot infusion, leave the tea on the bench to cool before putting it in the fridge. Tea will go cloudy if you put it in the fridge straight away. Also, make sure it’s in a sealed vessel so it doesn’t absorb flavours from food and other items in the fridge. Brew more tea than you need (e.g. have a second base tea ready), so you can top up your final brew if it’s too sweet or a bit weak in flavour.